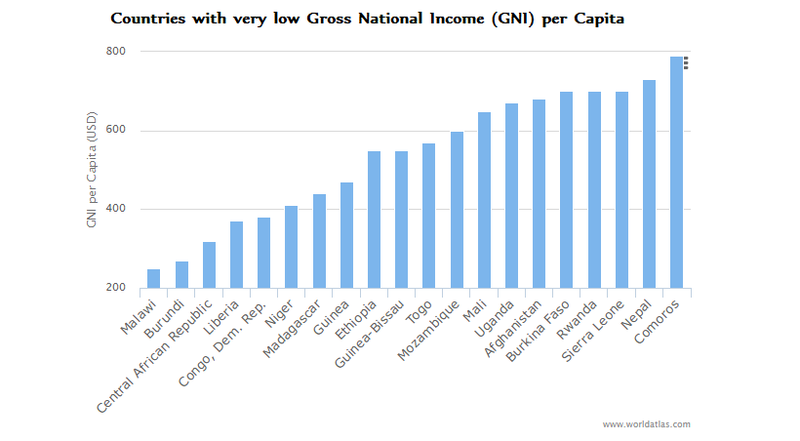 Countries With Very Low per Capita GNIs: Malwai, Burundi, Central African Republic, Liberia, the Democratic Republic of Congo, Niger, Gambia, Madagascar, Guinea, Guinea-Bissau, and Ethiopia are all struggling with extreme poverty. Within them, GNI per capita rates vary from 250 to 550 international dollars. This often becomes even more concerning when considering that income disparities often leave the general population in an even poorer state the already bad numbers would suggest. Collectively, these countries need strong economic reforms to begin to fight poverty and increase the welfare of their citizens and secure stronger standings on the global economic scene. These following countries have the smallest Gross National Income (GNI) per capita worldwide. 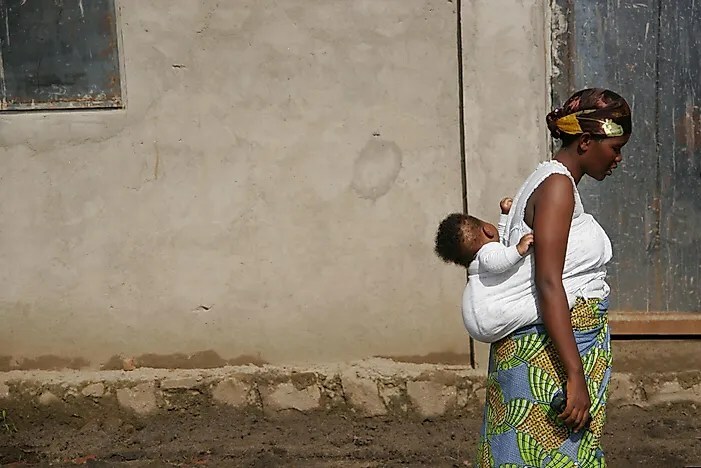 Woman with child in Burundi, the country with the second smallest GNI per capita in the world. Low GNI is an indicator of severe economic inequality and hardships related to poverty. The Gross National Income, or GNI, represents the sum of a nation’s Gross Domestic Product (GDP) plus any other net income received from overseas. Therefore, the gross national income measures both the domestic income of a country and the income it receives from abroad.The GNI per capita measures the average income earned by a person in a given country and is calculated by simply dividing the total GNI of the country by the total size of the population. Generally, GNI per capita is used to compare the state of wealth of a population and the standard of living in a country with those of other nations. GNI per capita is expressed in international dollars, and is based on Purchasing Power Parity (PPP), how far the money will go in buying commonly purchased goods in relation to that money’s ability to do the same elsewhere on the planet. When determining a country’s development status, GNI becomes an important economic factor. Taking into account all the considerations listed above, it becomes quite easy to understand why the countries with the smallest GNIs per capita tend to be developing countries which struggle with poor Infrastructure in terms of social welfare and economic development alike. According to World Bank data, the country with the smallest GNI per capita is Malawi, with 250 international dollars of income per person. Although the country enjoys a democratic and stable government, the economy continues to operate within a poor fiscal environment, characterized by the country’s high debt levels. The social environment is characterized by a proliferation of inequality and poverty, with over a half of the population being considered as poor, and one-quarter of it living in extreme poverty. The low agricultural productivity is one of the main obstacles in reducing the poverty, further worsened by increasing erratic weather patterns. Burundi, with a GNI of 270 international dollars, is the country with the second smallest GNI per capita. Even if the country is in the process of transitioning from a post-conflict economy to a stable, peacetime economy, poverty remains at troublingly high levels. The country is focusing on developing its basic social services, modernizing the public finance sector, and upgrading institutions and infrastructure across the board. Though it possesses a modernized industrial establishment, it above all relies on the agricultural sector, energy production, and mining for the majority of its revenues. The growing economy will increasingly offer more employment opportunities, and hopefully improvements in the standard of living will be quick to follow. The Central African Republic has the third-smallest GNI per capita value (330 international dollars). While it’s true that the country has recently been devastated by a political crisis, the Central African Republic was among the countries with the highest poverty rates well before the recent tumultuous events. 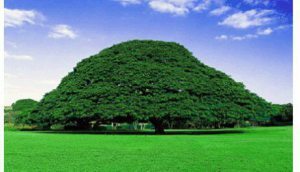 The country possesses abundant natural resources but, unfortunately, they are generally very underdeveloped. Subsistence agriculture represents almost one-third of the gross domestic product. Exports of diamonds and wood, while relatively significant domestically, have clearly not been enough to raise the economy to the level of a major global power. Besides these countries, the Democratic Republic of Congo, Niger, Gambia, Madagascar, Guinea, Guinea-Bissau, and Ethiopia are all struggling with extreme poverty as well. Within them, GNI per capita rates vary from 380 to 550 international dollars. This often becomes even more concerning when considering that income disparities often leave the general population in an even poorer state the already bad numbers would suggest. Collectively, these countries need strong economic reforms to begin to fight poverty and increase the welfare of their citizens and secure stronger standings on the global economic scene. This statement was originally published on africafex.org on 21 March 2017. A total of 183 deaths were recorded from July to December 2016 following clashes between protestors and security agents in three countries – Ethiopia, Democratic Republic of Congo (DRC) and Mali. 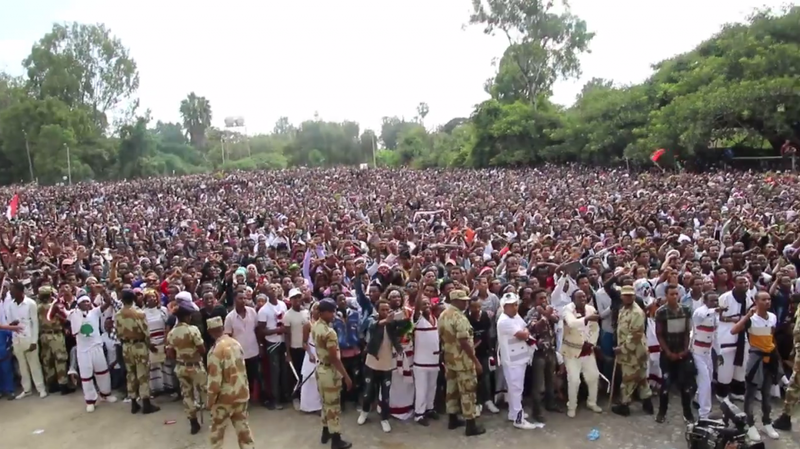 In each of the three countries, security agents used excessive force to disperse protestors who were demonstrating against specific issues in their respective countries. The police brutalities resulted in several deaths. A death toll of 150 was recorded in Ethiopia, 32 in DRC and one in Mali. To date, not one security agent has been prosecuted for any of the killings in the three countries. Unfortunately, this is just one of the many violations perpetrated against protestors, journalists and media organisations in Africa as reported in the maiden edition of the Freedom of Expression Situation in Africa report by the African Freedom of Expression Exchange (AFEX) compiled for the period July to December 2016. The periodic Freedom of Expression Situation in Africa Report is an intervention by AFEX that seeks to monitor and report on FOE violations (including violations against freedom of assembly and association) and other developments in Africa for the timely intervention by appropriate stakeholders. Over the six-month period, 63 incidents of violation were recorded in 19 countries across the African continent. State security apparatus were the main perpetrators of the violations. Together, they were responsible for 57 percent (36) of the 63 violations. State security agents were not only responsible for the killing of the 183 protestors in the three countries; they were also the perpetrators of all 19 incidents of arrests and detentions in 10 of the 19 countries covered in the report. in addition, five out of six media organisations were shut down by state security agents. State officials were also found to be perpetrators of media and FOE rights violations both online and offline. Of the 63 violations, 10 were carried out by/on the orders of state officials. Thus, state actors were generally the main perpetrators of the various violations reported in the Freedom of Expression Situation in Africa report. Sadly, only seven out of 63 recorded violations received some form of redress actions. For the full report on the types of violations cited, other perpetrators, the 19 countries monitored and the targets of the violations, click here. In the last few years there has been a shift in thinking about the roots of conflict in the DRC. From a focus on mineral wealth exploitation, the debate has shifted to land and identity as the primary reasons for conflict to continue. [i] Unresolved historical cleavages around land and power distribution, both of which are linked to identity and belonging, create the basis for political mobilisation through violence. [ii] Although these analyses have offered nuanced explanations of the micro-dynamics, two features put them at risk of reproducing previous problems.